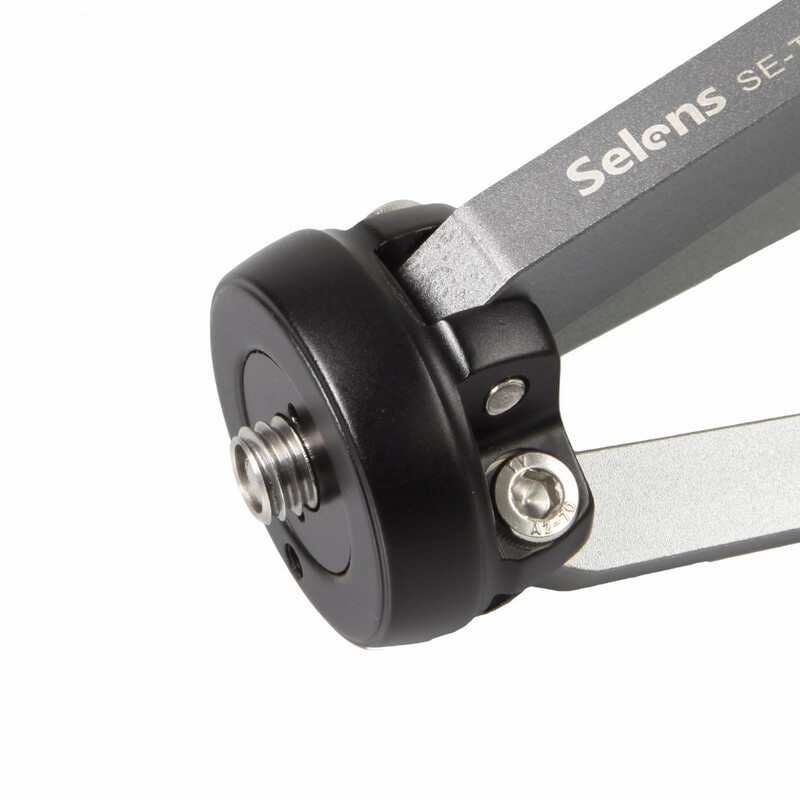 The SE-T06 is a lightweight and compact tripod capable of supporting up to 70kg at a minimum height of 45mm. 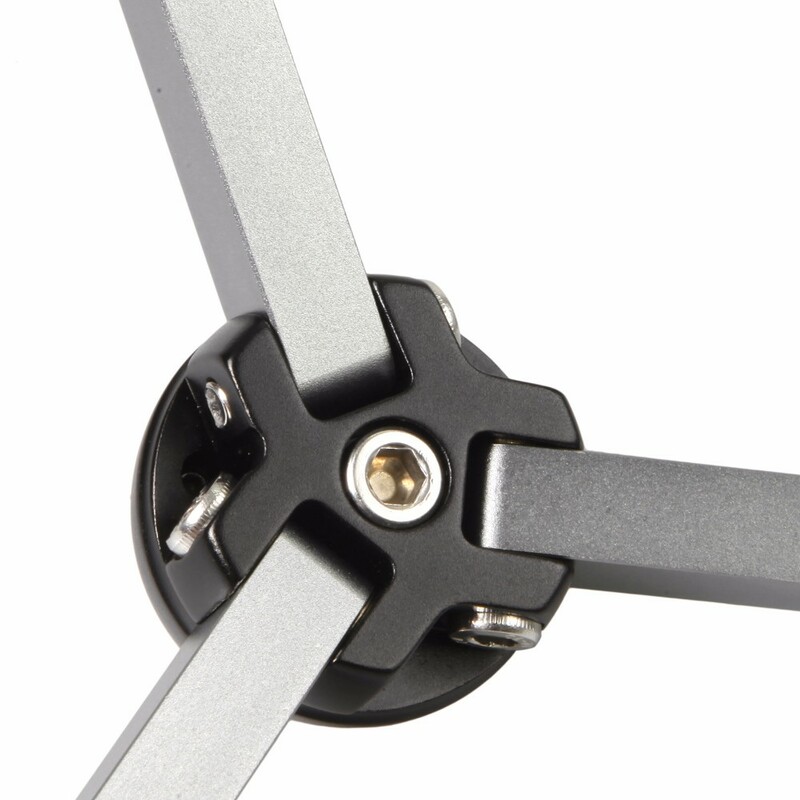 Each of the tripod’s legs features different leg angles for adjustable tripod’s heights and balance. When each leg is set to the widest angle, the tripod is capable of reaching a minimum height of just 45mm, suitable for low angle landscapes and macro photography. The tripod is constructed from anodized aluminum to help prevent corrosion and carbon fiber legs to reduce overall weight. The aluminum base measures 36mm in diameter and features a 1/4”-20 & 3/8”-16 mounting thread. When fully collapsed the tripod is just 150mm in length and weighs just 168g, making it easy to carry and use a handle grip. A carrying case is also included for additional protection during transport. High-quality aluminum magnesium alloy material and precise CNC machined technology. One-hand operation adds the additional convenience. The maximum loading reaches up to 70kg. A great and excellent gadget for macro and paranomic photography. Be able to use with the adapter of phone. Stands about 45mm in tall. Can be used as a tabletop for your SLR, rangefinder or digital cameras. Nice for the self timer shots, or keeping your camera steady in tight spots. Hard to find and fun little item! Great to throw in your bag.